Norfolk Air Heating, Cooling, Plumbing & Electrical offers quality heating and cooling products and services to keep you warm in cold Norfolk winters, and cool in the summer. We feature the HVAC products from American Standard and other leading manufacturers. We offer installation and repair of all major HVAC systems, heat pumps, furnaces, and other heating and cooling products in Norfolk, Virginia Beach, Chesapeake, and other areas of Hampton Roads. American Standard Heating & Air Conditioning helps families feel more comfortable and breathe easier in their homes. We are proud to be your local independent dealer for all American Standard heating and cooling products. 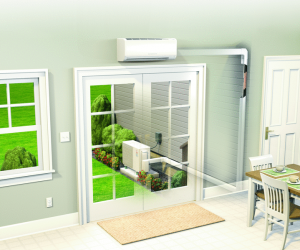 Mitsubishi’s new Ductless Air Conditioner and heater will change your life, and make your Norfolk house a home. These ductless models are easy to install, simple to use, and wonderful to live with. The seven-year warranty will make you feel pretty good, too. The Mitsubishi Ductless Air Conditioning & Heating Unit boasts allergen filtration, energy savings of up to 50% and a whisper-silent functionality. Please contact Norfolk Air Heating, Cooling, Plumbing & Electrical for a full list of heating and cooling products and services available in Norfolk, Virginia Beach, Chesapeake and the Surrounding areas of Hampton Roads and to schedule installation or repair today at 757-963-8365!